If I recall correctly, 1998’s Ronin disappointed me when I saw it theatrically. I thought it looked cool based on the previews, but the final result left me cold – I guess. Frankly, I barely remembered the movie over the ensuring years, so I’m not completely sure what reaction it inspired in me 19 years ago. Obviously it didn’t make enough of an impression for me to avoid it down the road, so here we go again. The film starts with a text preface that explains how samurai whose liege lords died on their watch suffered shame and were forced to become rogue warriors. They no longer merited the title of “samurai” - instead, these mercenaries became known as “ronin”. So there’s your title! The movie hops to modern-day Paris to introduce us to a group of “guns for hire” brought together on a mission under Deirdre (Natasha McElhone). The gang includes Sam (Robert De Niro), Vincent (Jean Reno), Gregor (Stellan Skarsgard), Spence (Sean Bean) and Larry (Skipp Sudduth). Deirdre instructs them that they need to ambush a group of five to eight men to retrieve a briefcase. And that’s all she tells them to start, as she keeps the contents of the case a secret. The rest of the movie’s action revolves around this mysterious package. Various folks double-cross each other as the different parties try to take control of the case. Sam remains in the forefront as he tries to come out on top. Now that I’ve seen Ronin four times, I know why I didn’t remember it in 1998: the movie rarely rises above the level of mediocrity. I don’t mean that to convey that the film is bad or truly problematic, but I simply think it fails to stick to the viewer’s brain. Though it does just enough right to keep us interested over its two hours, it doesn’t manage to stimulate us more than that. With less talent at hand, that could be acceptable. However, given the number of “names” at work on Ronin, it becomes a shame that the film lacks much pizzazz. Director John Frankenheimer creates a real throwback flick. He makes virtually no concessions to modern cinema, as Ronin feels like something he could have created 30 years earlier. Indeed, it reminds me of gritty classics like The French Connection with its rough, unflinching world. In no way does this old-fashioned form of movie-making bother me, so I don’t want these remarks to convey that I think Ronin drags due to stylistic choices. Indeed, I think it’s nice that we get a film without any of the modern excesses that mar so many efforts. Ronin goes with a non-nonsense, all-business tone. While I feel like that should make matters satisfying, Ronin never catches fire. Frankly, there’s a real lack of inspiration behind the cameras. Old-fashioned filmmaking is good, but cliché, tired filmmaking isn’t acceptable. I get the impression that Frankenheimer goes with the tried and true largely because he can’t think of any other way to work. The case at the center of the movie acts as a classic MacGuffin. That factor means that the story of Ronin becomes more than slightly frustrating. From the very start, the film makes it transparently clear that the case really doesn’t matter other than as at motivator for our principals. It’s unimportant what happens to it or what it contains, and that seems obvious from the beginning. I wish the flick hid this fact better, as that would allow the story to become more interesting. This doesn’t mean that Ronin doesn’t come without thrills and surprises. We don’t ever quite know who to trust, and events change our allegiances rapidly. Of course, we always stick with De Niro’s Sam, and Reno’s Vincent gives us little reason for concern. The others create more complicated characters that we find it more difficult to trust. All of that creates a little tension as Ronin runs. Unfortunately, it’s just not enough to sustain the movie. We get a few decent action sequences and a mildly involving thriller but not much depth or spark. This is a wholly ordinary flick. Ronin appears in an aspect ratio of approximately 2.35:1 on this Blu-ray Disc. Taken from a new 4K transfer, the movie looked great. Sharpness was a strength, as the film boasted excellent clarity. Nary a sliver of softness marred this tight, concise presentation. No signs of moiré effects or jagged edged appeared either. With a light, natural layer of grain, I didn’t suspect any intrusive use of noise reduction, and edge haloes remained absent. The transfer also lacked print flaws of any sort. Ronin opted for a low-key palette that favored subdued blues and ambers. A few brighter hues popped out at times as well, and the colors consistently looked appropriate for the film’s design. Blacks seemed deep and dense, while low-light shots offered nice clarity and smoothness. I felt very impressed by this terrific transfer. While not great, the DTS-HD MA 5.1 soundtrack of Ronin seemed fine. Speech could be a little reedy, but the lines were intelligible and without edginess or other flaws. Music showed reasonable range, and effects came across with fair clarity and impact. The latter could’ve been a bit more clean and dynamic, but those elements showed acceptable definition. The soundfield seemed positive. The music demonstrated good stereo imaging, and the movie took advantage of all its action sequences. All five speakers presented a lot of information, especially during the livelier scenes. Bullets zipped around the room and cars zoomed all over the place. At times I thought things could be a little too “speaker specific”, but the track usually blended well. In the end, this felt like a “B” soundtrack. How did this “Limited Edition” Blu-Ray compare with the 2009 Blu-ray? Audio seemed virtually identical, as both discs seemed to sport identical DTS-HD MA 5.1 soundtracks. However, the 2017 BD offered substantial improvements in picture quality. The new transfer looked much tighter and smoother, and it lacked the 2009 disc’s flaws and digital artifacts. This became a major step up in visuals. The 2009 BD lacked any of an earlier DVD’s extras, but the 2017 LE restores all of these and adds new materials as well. 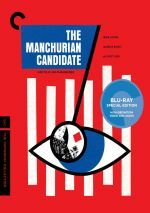 The starts with an audio commentary from director John Frankenheimer. Recorded for a 1999 DVD, Frankenheimer offers a running, screen-specific look at the script and story, the actors’ training and performances, and the alternate endings. He also tells us a lot about filmmaking techniques, so he details photographic choices as well as locations and sets. For the best parts, Frankenheimer digs into the stunts and driving sequences. He gives us a very nice examination of those methods and provides a solid discussion of all the related challenges. Despite a little too much dead air, Frankenheimer ultimately makes this a satisfying commentary. We also get an alternate ending. This one-minute, 49-second clip adds a few shots of Natasha McElhone to the existing conclusion and shows what happens to her. It’s an interesting choice, but I think the more vague finale now in the film works better. Next we head to a collection of Venice Film Festival Interviews. These fill 20 minutes, 41 seconds, and include comments from actors Robert De Niro, Jean Reno and Natasha McElhone. De Niro chats about his impressions of Frankenheimer, his character and other aspects of the story, and stunt driving. Reno chats about his character and the others, working with De Niro, Frankenheimer, the movie’s concept and filming in France. Finally, McElhone looks at her character and related issues, the flick’s theme, working in an action flick and shooting the driving scenes, and her impressions of Frankenheimer. De Niro has always been a bad interview subject, and he remains uncomfortable here. He tosses out a couple of decent notes but not anything particularly useful. Reno seems more open and adds a few nice observations about the director. McElhone offers information on about the same level as Reno. She gives us a smattering of details but nothing memorable. That’s the main problem with these interviews; they were done for promotional reasons, so they lack much impact. During Through the Lens, we get notes from director of photography Robert Fraisse. The 17-minute, 57-second featurette looks at Fraisse’s work. We learn about the challenges involved during Ronin as well as cooperating with Frankenheimer, shooting the driving, and various other cinematographic issues. Though “Lens” can be a bit dry, it offers a decent perspective on the movie’s camerawork and proves interesting. 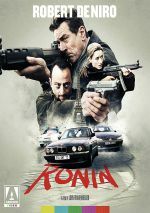 The 17-minute, 45-second Ronin: Filming in the Fast Lane features Frankenheimer, De Niro, McElhone, Reno, producer Frank Mancuso Jr., stunt coordinator Joe Dunne, stunt car coordinator Jean-Claude Lagniez, and actors Skipp Sudduth, Jonathan Pryce, Stellan Skarsgard and Sean Bean. “Lane” covers Frankenheimer’s work on the set, the movie’s story, characters and actors, the flick’s driving scenes and stunts, filming in Paris, and a few production topics. Too many movie clips show up here and “Lane” takes a very general focus. It comes across as a promotional featurette that touts the movie but doesn’t tell us much. Next comes Natasha McElhone: An Actor’s Process. This 13-minute, 57-second piece presents statements from McElhone as she chats about working with Frankenheimer and her co-stars, various challenges during the shoot, forms of training, and aspects of her performance. Like the other featurettes, this one never really excels. It tosses out a smattering of nice bits but doesn’t coalesce into something with a lot of value. For the next featurette, we find the 18-minute, 56-second In the Cutting Room. It presents editor Tony Gibbs as he discusses his background and how he got into film as well as his training and prior experiences. Gibbs then goes over how he came to work with Frankenheimer and specifics of what he did on Ronin. I like the fact we get info about Gibbs’ history before he digs into the specifics. This combination of elements helps make “Cutting” a rich and informative piece. As we progress, we move to Composing the Ronin Score. This 11-minute, 52-second show features composer Elia Cmiril as he chats about his start in film and his work on Ronin. He discusses specifics of his score and what he wanted to do with the music in this revealing little featurette. We hear about The Driving of Ronin in a 15-minute, 29-second featurette. It offers notes from stunt car coordinator Lagniez. As one might guess, the program looks at the movie’s stunt driving. Lagniez relates his history with cars and speed and then goes over the details of how he worked on Ronin. Like the two featurettes that immediately precede it, “Driving” becomes useful and worthwhile. From here, the disc’s remaining extras are exclusive to the Blu-ray. Close-Up runs 31 minutes, 27 seconds and features a 2017 interview with cinematographer Fraisse. The filmmaker discusses aspects of his career and his work on Ronin. Inevitably, some of this repeats from “Through the Lens”, but Fraisse opens up the subject matter enough to allow “Close-Up” to stand on its own. From 1994, You Talkin’ to Me? lasts 27 minutes, one second. This acts as an appreciation of De Niro and features filmmaker Quentin Tarantino as he discusses De Niro’s career and impact. Tarantino offers occasional insights and is willing to confront De Niro’s creative decline but a lot of “Talkin’” feels like basic praise. It also shows its age when Tarantino discusses how unimaginable a De Niro/Al Pacino pairing would be when they worked together in 1995’s Heat. In addition to the film’s trailer, we find a still gallery. It presents 37 images that mix publicity elements and photos from the set. This seems like a mediocre collection. The package concludes with a booklet. It contains credits, photos and an essay from film writer Travis Crawford. The booklet finishes the set well. Four times I’ve watched Ronin and three times I’ve wanted/expected to like it. Four times I’ve felt only moderately involved by it. The film includes many solid parts but they never coalesce to form a rich whole. The Blu-ray presents excellent visuals, good audio and a nice array of bonus materials. Ronin doesn’t dazzle me as a movie, but I feel very impressed by this top—notch release.